Over the course of time we spend a lot of time driving, and with that means there are odds that something may happen to keep you while you are in your vehicle where you need to get out quick and are then stuck wherever you are. The Mini Survival kit with RESQME will be the perfect kit for that just in case situation. With some food and water to keep you going and first aid supplies to help handle any injuries that arise you will be prepared to be kept in the car. The RESQME will be the perfect tool to pop the window out to provide a quick and easy escape. 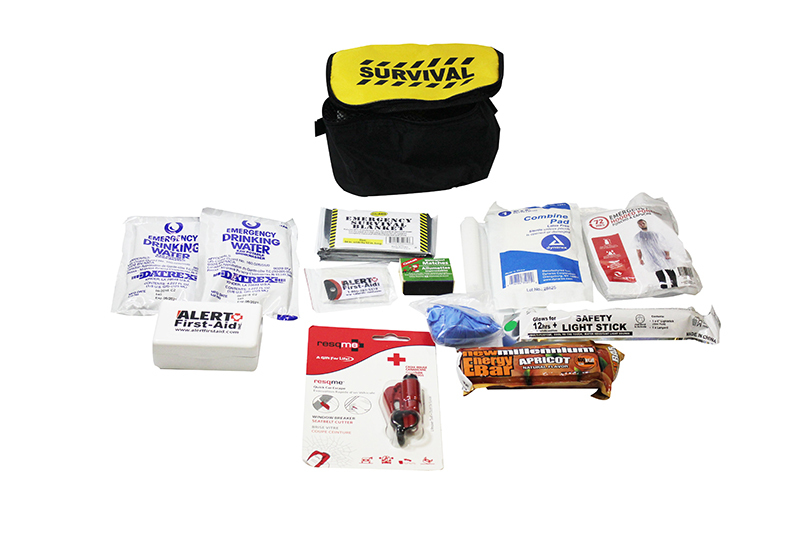 Being prepared is easy with this car kit.